Dedicated IP Address: Here’s Why Everyone Is Talking About Them Right Now. Of the numerous hosting features and extras available from just about every hosting provider out there, the dedicated IP may just be the one that gives Web publishers the most pause. Is it necessary? Does it have any benefit? Do I really need one if I’m using a dedicated server? Do I really need one at all? The debate rages on. Ultimately, whether you spring for a dedicated IP address or not is your decision, but knowing a few facts, and then throwing in a bit of opinion, may help you make an educated decision. Let’s start with the basics. This is completely separate from your domain name or the URL of your site. The IP (Internet Protocol) address is a sequence of numbers assigned to every device that accesses the Internet. Whereas your domain is essentially your website’s address—the location where it can be found on the Internet—your computer’s IP address is a unique label that allows the Internet, websites, (and let’s be honest, probably the NSA) to identify your specific device when it accesses a website. In addition to computers and mobile devices, servers also have their own unique IP addresses. Most data centers and website technology providers offer variations on two different types of hosting – shared hosting and dedicated hosting. With shared hosting, all of a server’s resources are pooled together to host many sites without regard for who owns the site, how much traffic a site receives, etc. With dedicated hosting, all of a server’s resources are still applied to a specific set of sites and applications, but the way those resources are allocated is at the discretion of the person renting the server space – not the hosting provider. So, in the case of shared hosting, there are often hundreds, sometimes thousands of sites that all reside on the same server – therefore, they all have the same IP address. In the case of dedicated hosting, sites may share the same hosting provider, but do not all have the same IP address. Shared IPs and Dedicated IPs operate in the same way. 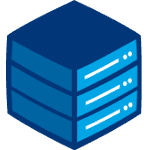 While each hosting account has the same IP in a shared hosting scenario, a dedicated IP is an exclusive address that is unique to your hosted server. While a dedicated IP address is exclusively yours, you might choose to serve different sites from that IP address. Ultimately, you are in control of who’s using it. This normally isn’t a problem in any way, whether you’re considering hosting or search engine optimization (SEO) factors. But in some cases, a dedicated IP can be helpful, and in others, it’s necessary. What Is A Dedicated IP And What Does It Actually Do? To truly understand dedicated IPs, we need to understand how IP addresses work. IP addresses route internet traffic to the right place, much like a zip code or post code. Like postal codes, different people can share the same IP. If you have a shared hosting account, you probably share your site IP address with dozens of other people. In some cases, you might share it with hundreds of other sites. Sharing is not a problem. The host has software to interpret requests for different sites on the same IP, ensuring that it can serve the right content to each person, and it takes milliseconds. A dedicated IP address is exclusively yours. You might choose to serve different sites from that IP address, but you’re ultimately in control of who’s using it. You would think that a dedicated IP was better, right? Let’s look at some of the benefits we associate with them. When Do I Need a Dedicated IP Address? As far as hosting goes, you’ll encounter as many as four major reasons why a dedicated IP will either be helpful or necessary to the success of your site. You need to maintain a secure site via SSL certificate. Many of these reasons would also signal that it is a good time to upgrade your hosting platform from shared to dedicated, as well! With that said, dedicated IPs are not dependent upon dedicated hosting to function correctly. You can have shared IPs on a dedicated server if you host multiple sites on one server, and you can have dedicated IPs pointing to sites on a shared hosting server (if an online store uses shared hosting and SSL, it likely has a dedicated IP). Of the reasons listed above, the most common reason that signals you will need a dedicated IP is if you plan to attach a secure sockets layer (SSL) certificate to your site. Say you’re building an e-commerce site. If you expect customers to enter their credit card and other personal information, you want to offer them the security of protecting that information with an SSL. You must have a dedicated IP in order to get an SSL certificate on your site. Most hosts will charge an additional fee both for the dedicated IP and the SSL certificate, but some may include the dedicated IP with the purchase of the SSL certificate. Check with your preferred hosting provider to be sure. Specifically purchasing a dedicated IP just for a high traffic site is not as necessary as securing dedicated hosting for a high traffic site. E-commerce sites that purchase an SSL certificate will likely already have a dedicated IP and will probably also have dedicated hosting. Whether it’s an e-commerce site or not, if your website sees a large volume of traffic on a daily basis, you may want to consider getting a dedicated IP. With dedicated hosting (and a dedicated IP), your website is more likely to increase or at least maintain your speed and performance your visitors are accustomed to while accommodating so many visitors. It will also reduce the likelihood of your site crashing under the strain of so much traffic – a far more common problem for high traffic sites that use shared hosting. Much of the debate over whether to incur the extra expense of a dedicated IP address comes from the question of whether or not the dedicated IP offers any sort of SEO benefit. The answer has changed over the years, but there’s a good reason why that’s happened. It’s all Matt Cutts’s fault. OK, not really. But sort of. Matt Cutts is the head of Google’s Webspam team. He communicates regularly with many members of the digital marketing and search industry, and often speaks at industry conferences. He also releases videos on a regular basis where he answers questions people send to him, and discusses Google updates and functions. In a November 2006 blog post, Cutts addressed the dedicated IP address question, saying at the time that it was not a ranking factor. In August 2010, Cutts released a video in response to a question about whether shared hosting negatively affects a site’s ranking. The question and response dealt specifically with the presence of spammy websites on the same server as “normal” websites. However, a lot of people took Cutts’s response to mean dedicated IP addresses were not necessary to “protect” those regular sites, and would not offer any SEO benefit. However (You knew there was a “however” coming, right? ), 2006 was a long time ago, and by Internet standards, so was 2010. Things have changed since then, including Google’s algorithm, and how rankings are determined. One of the factors Google now looks at when ranking sites is page load speed. A dedicated IP can help increase your site’s speed. Google considers page load speed to be a ranking factor. Therefore, a dedicated IP address may be a factor to improve the SEO value of your site. That said, a dedicated IP address is not going to magically transport your site to the number one position in Google’s search engine results pages (SERPs). But here’s the thing—if you’re trying to help your site rank well, don’t you want to give it every advantage possible? If there are 15 things you can do that may help your site do better in the SERPs, why would you only do 12 of them if you can do them all? So along with creating high-quality content, ensuring that content isn’t over-optimized, building a solid site architecture, and the numerous other things you can do to make Google like your site just a little more, paying a little extra for a dedicated IP can be a good investment in your site’s future. Do Professional SEOs Believe A Dedicated IP Can Really Help Your Site Rank Better? There are two aspects to the SEO argument for dedicated IPs: ranking and spam. Some search engine optimization (SEO) professionals believe search engines are more likely to trust a site on a dedicated IP address and give it a higher search engine ranking. There is a lot of debate about that theory, and almost no evidence to back it up. Google does use IP addresses in some of its calculations, but mostly to determine how much to trust an inbound link. Links from similar IPs are usually trusted less. But the odds of being impacted by this are slim, even on a shared server. In terms of spam, Google may distrust sites that share an IP range with spammers, junk blogs and other violators of their ‘best practices’. On a shared server, the unethical behavior of someone on your shared IP could result in a penalty for everyone – in theory. But it’s not really clear cut. Google obviously understands that millions of websites use shared hosting, so blanket penalties would be counter productive. Can a dedicated IP address help your site load more quickly? In some ways, you’d expect so. After all, there’s less traffic flowing to that IP. But look at it another way. Every server has to inspect a packet, examine the request and deliver it to the correct domain. This holds true if there is one site on an IP or one thousand sites. Every server has to go through this process; the number of possible destinations doesn’t really matter. As such, the difference in processing time is so small as to be imperceptible. So Then What’s The Big Benefit Of Having A Dedicated IP? There is one clear benefit of owning a dedicated IP. It allows you to do more with your server. You need a dedicated IP address to host your own SSL certificate, for example. You can also run an FTP server off the IP address. You could run a gaming server or some other IP-based server (with your host’s permission). Most Web hosts offer shared SSL certificates at will be good enough for the vast majority of sites, and very few people will ever need to run an IP-based FTP server. But in some cases, the benefits are clear. Should You Bother With a Dedicated IP? A dedicated IP is preferable, but you’ll get by just fine without one. The benefits are quite specialized, and the SEO angle is now largely discredited. The only thing to watch out for is spam. Subscribe to Google Webmaster Tools and stay on top of what Google thinks about your site. If it seems to be located in a ‘bad neighborhood’, migrate to a new host, and don’t rely on a dedicated IP to solve the problem. Should You Buy A Dedicated IP? Dedicated IPs are an essential feature to improving the security of your site through SSL certificates. You can access your site via FTP and also load it in a browser via IP address. High-traffic domains are less likely to experience downtime when they are being loaded through dedicated resources. your website with a dedicated IP and better search optimization. A dedicated IP addition to your hosting package is NOT the same thing as a dedicated server or virtual dedicated hosting. While a dedicated IP may benefit your page load speed, the impact will be not be significant enough to greatly improve your rankings in the search engine results. If you need to secure your website, then buying a dedicated IP as part of your SSL package is a good investment. However, it probably makes sense to avoid simply buying a dedicated IP as a standalone addition to your hosting package if you are staying on a shared hosting server. Instead, upgrade to dedicated hosting and lock in your dedicated IP as part of the upgrade from a shared to a dedicated plan. Image cropped from Server Screen by Jeh. Licensed under CC BY-SA 3.0. ◀ Here’s How To Buy A Domain That’s Already Registered In 2019. This article is entirely inaccurate about dedicated IP addresses increasing site availability and decreasing load times; IP’s on the same server will share the same resources regardless. You have confused having a dedicated *server* with having a dedicated *IP*. @airynd:disqus I think the general assumption is that typically there’s a dedicated server with dedicated IP services. This is wrong assumption. Dedicated IP can be used by even shared hosting accounts. Most of the shared hosting providers offers dedicated IPs for additional charges. Agree with airynd. This article conflates dedicated server with dedicated IP. Dedicated IP addresses are available for shared hosting and will have no effect on performance in this case. Before reading your text, I didn’t think that IP specifications were of any importance. For instance, IP is not likely to be hacked: https://inxyhost.com/blog/can-ip-address-be-hacked . I was surprised to learn that the type of IP does make sense. Now I am considering buying a dedicated IP because of security concerns. You do not need a dedicated IP for SSL certs. Most hosting providers run servers that use SNI (server name identification) which allows multiple SSL certs on a shared IP. A dedicated IP is only required when the hosting provider is using older operating system versions that do not support SNI. I stumbled on this article and read through it. By the end I was thinking there was a lot of erroneous information here, especially about the SSL certificates. I am running three websites for the company, all with SSL certificates and all on a shared SSD server, which we own. I am running three other sites on this server which are not SSL secure and this is fine as well. True, a more serious SSL will take a Dedicated IP but I have done that accidentally on accounts, so this is a red herring of a concern. Remember, the bigger the SSL the more it costs and, if you are not careful many out there will charge premium rates for the cheapest SSL level while charging exorbitant rates for the upper level certs. This is what we get for hugging the Capitalist ideal with all our might, everyone wants to wring avery nickel they can out of your pocket. It is nice to see that others have found all the flaws with this article, and a year ago. Too bad Google Search does not tell you when an article is just flat wrong. That, I would like. A very good argument and funnily enough someone pointed the factor security out about 3 years after publishing the article. I have seen websites sharing their IP with 6500+ other sites about 30% dead ones though. But that is a huge chance of getting caught in someone elses DOS Attack.